**Vehicle Options listed are when the unit was originally built. Please confirm the accuracy of the included equipment by calling the dealer prior to purchase. - **Vehicle Options listed are when the unit was originally built. Please confirm the accuracy of the included equipment by calling the dealer prior to purchase. - **Vehicle Options listed are when the unit was originally built. Please confirm the accuracy of the included equipment by calling the dealer prior to purchase. - **Vehicle Options listed are when the unit was originally built. Please confirm the accuracy of the included equipment by calling the dealer prior to purchase. - **Vehicle Options listed are when the unit was originally built. Please confirm the accuracy of the included equipment by calling the dealer prior to purchase. - **Vehicle Options listed are when the unit was originally built. Please confirm the accuracy of the included equipment by calling the dealer prior to purchase. - **Vehicle Options listed are when the unit was originally built. Please confirm the accuracy of the included equipment by calling the dealer prior to purchase. - **Vehicle Options listed are when the unit was originally built. Please confirm the accuracy of the included equipment by calling the dealer prior to purchase. - **Vehicle Options listed are when the unit was originally built. Please confirm the accuracy of the included equipment by calling the dealer prior to purchase. - **Vehicle Options listed are when the unit was originally built. Please confirm the accuracy of the included equipment by calling the dealer prior to purchase. **Vehicle Options listed are when the unit was originally built. Please confirm the accuracy of the included equipment by calling the dealer prior to purchase. - **Vehicle Options listed are when the unit was originally built. Please confirm the accuracy of the included equipment by calling the dealer prior to purchase. CARFAX One-Owner. Clean CARFAX. Certified. Mediterranean Blue Metallic 2016 BMW X1 xDrive28i AWD 8-Speed Automatic 2.0L 4-Cylinder DOHC 16V TwinPower Turbo Advanced Real-Time Traffic Information, Ambiance Lighting, Auto-Dimming Interior & Driver Exterior Mirrors, Auto-Dimming Rear-View Mirror, BMW Connected App Compatibility, BMW Online & BMW Apps, Comfort Access Keyless Entry, Driver Assistance Package, Fine-Wood 'Fineline' Trim w/Pearl Chrome Accent, LED Headlights w/Cornering Lights, Lumbar Support, Navigation Business, Navigation System, Panoramic Moonroof, Park Distance Control, Parking Assistant, Power-Folding Mirrors, Premium Package, Rear-View Camera, Remote Services, Satellite Radio w/1 Year Subscription, Universal Garage-Door Opener, Wheels: 18 x 7.5 Alloy Y Spoke (Style 569).22/32 City/Highway MPGBMW Details:* 1 year/Unlimited miles beginning after new car warranty expires. * Multipoint Point Inspection* Vehicle History* Warranty Deductible: $0* Transferable Warranty* Roadside AssistanceAwards:* 2016 IIHS Top Safety Pick+ * 2016 KBB.com 10 Best Luxury Cars Under $35,000Reviews:* Class-leading cargo capacity; quickest and most agile among its competitor; interior materials are of the highest quality and constructed with detail and care. Source: Edmunds* Long list of standard features; richly trimmed interior; seductive coupelike appearance. Source: Edmunds* Powerful and fuel-efficient engines; engaging handling; upscale interior; hatchback-style utility. Source: Edmunds - **Vehicle Options listed are when the unit was originally built. Please confirm the accuracy of the included equipment by calling the dealer prior to purchase. - **Vehicle Options listed are when the unit was originally built. Please confirm the accuracy of the included equipment by calling the dealer prior to purchase. - **Vehicle Options listed are when the unit was originally built. Please confirm the accuracy of the included equipment by calling the dealer prior to purchase. - **Vehicle Options listed are when the unit was originally built. Please confirm the accuracy of the included equipment by calling the dealer prior to purchase. - **Vehicle Options listed are when the unit was originally built. Please confirm the accuracy of the included equipment by calling the dealer prior to purchase. - **Vehicle Options listed are when the unit was originally built. Please confirm the accuracy of the included equipment by calling the dealer prior to purchase. - **Vehicle Options listed are when the unit was originally built. Please confirm the accuracy of the included equipment by calling the dealer prior to purchase. - **Vehicle Options listed are when the unit was originally built. Please confirm the accuracy of the included equipment by calling the dealer prior to purchase. - **Vehicle Options listed are when the unit was originally built. Please confirm the accuracy of the included equipment by calling the dealer prior to purchase. - **Vehicle Options listed are when the unit was originally built. Please confirm the accuracy of the included equipment by calling the dealer prior to purchase. - **Vehicle Options listed are when the unit was originally built. Please confirm the accuracy of the included equipment by calling the dealer prior to purchase. - **Vehicle Options listed are when the unit was originally built. Please confirm the accuracy of the included equipment by calling the dealer prior to purchase. - **Vehicle Options listed are when the unit was originally built. Please confirm the accuracy of the included equipment by calling the dealer prior to purchase. - **Vehicle Options listed are when the unit was originally built. Please confirm the accuracy of the included equipment by calling the dealer prior to purchase. - **Vehicle Options listed are when the unit was originally built. Please confirm the accuracy of the included equipment by calling the dealer prior to purchase. - **Vehicle Options listed are when the unit was originally built. Please confirm the accuracy of the included equipment by calling the dealer prior to purchase. - **Vehicle Options listed are when the unit was originally built. Please confirm the accuracy of the included equipment by calling the dealer prior to purchase. - **Vehicle Options listed are when the unit was originally built. Please confirm the accuracy of the included equipment by calling the dealer prior to purchase. CPO, SPORT PACKAGE, HARMON KARMON, NAVAGATION!! !A MUST SEE!! !CARFAX One-Owner. Clean CARFAX. Certified. Mineral Gray Metallic 2015 BMW 4 Series 428i Gran Coupe RWD 8-Speed Automatic 2.0L 4-Cylinder DOHC 16V Turbocharged Advanced Real-Time Traffic Information, Anthracite Headliner, Anthracite Wood Trim, Black Door Mirror Caps, BMW Online & BMW Apps, Comfort Access Keyless Entry, Dakota Leather Upholstery, Driver Assistance Package, Enhanced USB & Bluetooth w/Smartphone Integration, harman/kardon Surround Sound System, High-Gloss Black Interior Trim, Increased Top Speed Limit, Instrument Cluster w/Extended Contents, Lumbar Support, M Sport Suspension, Navigation System, Navigation System w/Touchpad, Park Distance Control, Premium Package, Rear-View Camera, Remote Services, Satellite Radio, Sport Line, Sport Line Aesthetic Elements, Sport Seats, Wheels: 18 x 8 Double-Spoke (Style 397), Without Exterior Lines Designation.23/34 City/Highway MPGBMW Details:* Roadside Assistance* Transferable Warranty* 1 year/Unlimited miles beginning after new car warranty expires. * Vehicle History* Multipoint Point Inspection* WarrantyDeductible: $0Reviews:* Powerful and fuel-efficient engines; engaging handling; upscale interior; hatchback-style utility. Source: Edmunds* If you crave the excellent handling and power of the 3 Series sedan in coupe or convertible form, look to the 2015 BMW 4 Series. The new 4-door Gran Coupe is the only 4 Series with room for five, and is able to carry cargo easier, thanks to its wide-opening liftgate. Source: KBB.com* Engaging handling; powerful yet fuel-efficient engines; upscale interior with straightforward controls and spacious seating. Source: Edmunds - **Vehicle Options listed are when the unit was originally built. Please confirm the accuracy of the included equipment by calling the dealer prior to purchase. CARFAX One-Owner. Certified. Imperial Blue Metallic 2015 BMW 5 Series 535i RWD 8-Speed Automatic 3.0L I6 DOHC 24V TwinPower Turbo Cinnamon Brown w/Dakota Leather Upholstery, Comfort Access Keyless Entry, Dark Wood Trim, Heated Front Seats, Navigation System, Park Distance Control, Power Tailgate, Premium Package, Rear-View Camera, Satellite Radio.20/31 City/Highway MPGBMW Details:* Vehicle History* Roadside Assistance* Multipoint Point Inspection* Warranty Deductible: $0* Transferable Warranty* 1 year/Unlimited miles beginning after new car warranty expires.Awards:* JD Power Initial Quality Study (IQS)Reviews:* Superb powertrains; impressive fuel economy in most forms; elegant interior packed with high-tech features; smooth, quiet ride; advanced safety features. Source: Edmunds* The BMW 5 series continues to be tailor-made to the tastes of the driver with multiple options of Sedan or Gran Turismo, but those enhancements just got better. The exterior has been modernized with subtle, yet profile-enhancing, changes to the nose and tail. There are also contour lines around the grille and reshaped air intakes. All models now have adaptive xenon headlamps with LED alternatives available, and new thin-line taillamps are a nice addition. BMW has expanded both the standard and optional equipment including engine upgrades. The Gran Turismo specifically has received front fascia recasting and an extended liftgate that increases cargo capacity by 2.1-cubic feet. The luxurious outside look has been translated into the comfortable interior of the 5 series as well. There are many engines to choose from as well. On the 528i there is a 240hp 2.0L TwinPower Turbo. On the 535i there is a 300hp 3.0L TwinPower Turbo. The 535d comes with a 255hp 3.0L TwinTurbo Diesel. While the top of the line 550i comes with a 4.4L TwinPower Turbo V8. Other available features are ActiveHybrid which is paired to the 3.0L TwinTurbo or xDrive for AWD. BMW Assist can offer an emergency switchboard, navigation system, and information service all in one on an integrated 10.2-inch screen. The lowest model starts with ten speakers and options are available for many more sound packages. Existing upgrades for the tech enthusiast are iPad holders and snap-in adapters for Apple products and Blackberry make working from the car a breeze. In addition, rear view, side and top view cameras are all options for safety. Standard safety features include airbags, safety belt reminders, anti-theft alarm system, and an interlocking door anchoring system. Source: The Manufacturer Summary* Long list of standard features; cutting-edge technology; seductive style. Source: Edmunds - **Vehicle Options listed are when the unit was originally built. Please confirm the accuracy of the included equipment by calling the dealer prior to purchase. - **Vehicle Options listed are when the unit was originally built. Please confirm the accuracy of the included equipment by calling the dealer prior to purchase. - **Vehicle Options listed are when the unit was originally built. Please confirm the accuracy of the included equipment by calling the dealer prior to purchase. - **Vehicle Options listed are when the unit was originally built. Please confirm the accuracy of the included equipment by calling the dealer prior to purchase. - **Vehicle Options listed are when the unit was originally built. Please confirm the accuracy of the included equipment by calling the dealer prior to purchase. - **Vehicle Options listed are when the unit was originally built. Please confirm the accuracy of the included equipment by calling the dealer prior to purchase. - **Vehicle Options listed are when the unit was originally built. Please confirm the accuracy of the included equipment by calling the dealer prior to purchase. - **Vehicle Options listed are when the unit was originally built. Please confirm the accuracy of the included equipment by calling the dealer prior to purchase. - **Vehicle Options listed are when the unit was originally built. Please confirm the accuracy of the included equipment by calling the dealer prior to purchase. - **Vehicle Options listed are when the unit was originally built. Please confirm the accuracy of the included equipment by calling the dealer prior to purchase. - **Vehicle Options listed are when the unit was originally built. Please confirm the accuracy of the included equipment by calling the dealer prior to purchase. - **Vehicle Options listed are when the unit was originally built. Please confirm the accuracy of the included equipment by calling the dealer prior to purchase. - **Vehicle Options listed are when the unit was originally built. Please confirm the accuracy of the included equipment by calling the dealer prior to purchase. - **Vehicle Options listed are when the unit was originally built. Please confirm the accuracy of the included equipment by calling the dealer prior to purchase. - **Vehicle Options listed are when the unit was originally built. Please confirm the accuracy of the included equipment by calling the dealer prior to purchase. - **Vehicle Options listed are when the unit was originally built. Please confirm the accuracy of the included equipment by calling the dealer prior to purchase. - **Vehicle Options listed are when the unit was originally built. Please confirm the accuracy of the included equipment by calling the dealer prior to purchase. - **Vehicle Options listed are when the unit was originally built. Please confirm the accuracy of the included equipment by calling the dealer prior to purchase. **Vehicle Options listed are when the unit was originally built. Please confirm the accuracy of the included equipment by calling the dealer prior to purchase. - **Vehicle Options listed are when the unit was originally built. Please confirm the accuracy of the included equipment by calling the dealer prior to purchase. - **Vehicle Options listed are when the unit was originally built. Please confirm the accuracy of the included equipment by calling the dealer prior to purchase. - **Vehicle Options listed are when the unit was originally built. Please confirm the accuracy of the included equipment by calling the dealer prior to purchase. CPO, NAV PRICED TO MOVE MUST HURRY!!! - **Vehicle Options listed are when the unit was originally built. Please confirm the accuracy of the included equipment by calling the dealer prior to purchase. CARFAX One-Owner. Certified. Alpine White 2015 BMW X5 sDrive35i RWD 8-Speed Automatic 3.0L I6 DOHC 24V TwinPower Turbo Canberra Beige w/Dakota Leather Upholstery, 4-Zone Automatic Climate Control, Aluminum Running Boards, Comfort Access Keyless Entry, Dakota Leather Upholstery, Driver Assistance Package, Head-Up Display, Navigation System, Poplar Wood Trim, Premium Package, Rear-view Camera, Satellite Radio w/1 Year Subscription.Odometer is 9174 miles below market average! 19/27 City/Highway MPGBMW Details:* Roadside Assistance* Transferable Warranty* Multipoint Point Inspection* Vehicle History* 1 year/Unlimited miles beginning after new car warranty expires. * Warranty Deductible: $0Awards:* 2015 KBB.com 10 Best Luxury SUVsReviews:* Potent and efficient engines; luxurious and comfortable interior; huge list of features; steadfast high-speed stability. Source: Edmunds* From its sleek lines to its sporty athletic stance the BMW X5 demands attention. The X5's aggressive air intakes direct more air to the engine for increased power, centrally positioned fog lights and Xenon Adaptive Headlights with LED Daytime Running Lights distinguish the vehicle's front facia. A matte aluminum finish along with front and rear underside protective cladding, allow the X5 to navigate unpaved roads as easily as tarmac. The long wheelbase and short overhangs at the front and rear, muscular hood and square-shape flared wheel arches, contoured flanks and L-shape rear taillights featuring LED technology all add to the design. With the addition of sumptuous interior materials, the X5 truly becomes a sanctuary of unrivaled comfort and taste. Lower the split-folding rear seats to create up to 66cu. ft. of cargo space or, when equipped with third-row seats for two, the driver can share the journey with up to six passengers. Other features include available panoramic glass moonroof and rear seat DVD player with 8 inch screen. With a single twin-scroll turbocharger the xDrive35i will perform 300hp and 300 lb-ft of torque. Generating 413lb. ft. of torque with 255hp, an inline-six Advanced Diesel engine is available on the xDrive35d. A 4.8L V8 engine yields 445hp and 479 lb-ft of torque on the xDrive50i. The M Power V8 Turbo comes from the M performance division giving the X5 M an impressive 555hp. With BMW Assist, you have an emergency switchboard, navigation system, and information service, all in one on an integrated touchscreen. A premium Harman Kardon system puts the power of 11 speakers at your disposal. Using BMW Apps you can extend the communication and entertainment of your X5 with tailor-made applications. Source: The Manufacturer Summary* Long list of standard features; cutting-edge technology; seductive style. Source: Edmunds - **Vehicle Options listed are when the unit was originally built. Please confirm the accuracy of the included equipment by calling the dealer prior to purchase. - **Vehicle Options listed are when the unit was originally built. Please confirm the accuracy of the included equipment by calling the dealer prior to purchase. - **Vehicle Options listed are when the unit was originally built. Please confirm the accuracy of the included equipment by calling the dealer prior to purchase. - **Vehicle Options listed are when the unit was originally built. Please confirm the accuracy of the included equipment by calling the dealer prior to purchase. - **Vehicle Options listed are when the unit was originally built. Please confirm the accuracy of the included equipment by calling the dealer prior to purchase. - **Vehicle Options listed are when the unit was originally built. Please confirm the accuracy of the included equipment by calling the dealer prior to purchase. - **Vehicle Options listed are when the unit was originally built. Please confirm the accuracy of the included equipment by calling the dealer prior to purchase. - **Vehicle Options listed are when the unit was originally built. Please confirm the accuracy of the included equipment by calling the dealer prior to purchase. - **Vehicle Options listed are when the unit was originally built. Please confirm the accuracy of the included equipment by calling the dealer prior to purchase. - **Vehicle Options listed are when the unit was originally built. Please confirm the accuracy of the included equipment by calling the dealer prior to purchase. - **Vehicle Options listed are when the unit was originally built. Please confirm the accuracy of the included equipment by calling the dealer prior to purchase. - **Vehicle Options listed are when the unit was originally built. Please confirm the accuracy of the included equipment by calling the dealer prior to purchase. - **Vehicle Options listed are when the unit was originally built. Please confirm the accuracy of the included equipment by calling the dealer prior to purchase. - **Vehicle Options listed are when the unit was originally built. Please confirm the accuracy of the included equipment by calling the dealer prior to purchase. - **Vehicle Options listed are when the unit was originally built. Please confirm the accuracy of the included equipment by calling the dealer prior to purchase. - **Vehicle Options listed are when the unit was originally built. Please confirm the accuracy of the included equipment by calling the dealer prior to purchase. - **Vehicle Options listed are when the unit was originally built. Please confirm the accuracy of the included equipment by calling the dealer prior to purchase. - **Vehicle Options listed are when the unit was originally built. Please confirm the accuracy of the included equipment by calling the dealer prior to purchase. CPO, NAV!!! - **Vehicle Options listed are when the unit was originally built. Please confirm the accuracy of the included equipment by calling the dealer prior to purchase. CARFAX One-Owner. Clean CARFAX. Certified. Mineral Silver Metallic 2015 BMW X5 sDrive35i RWD 8-Speed Automatic 3.0L I6 DOHC 24V TwinPower Turbo Canberra Beige w/Dakota Leather Upholstery, 4-Zone Automatic Climate Control, Comfort Access Keyless Entry, Dakota Leather Upholstery, Navigation System, Premium Package, Rear-view Camera, Satellite Radio w/1 Year Subscription.Odometer is 6496 miles below market average! 19/27 City/Highway MPGBMW Details:* 1 year/Unlimited miles beginning after new car warranty expires. * Roadside Assistance* Warranty Deductible: $0* Multipoint Point Inspection* Vehicle History* Transferable WarrantyAwards:* 2015 KBB.com 10 Best Luxury SUVsReviews:* Potent and efficient engines; luxurious and comfortable interior; huge list of features; steadfast high-speed stability. Source: Edmunds* From its sleek lines to its sporty athletic stance the BMW X5 demands attention. The X5's aggressive air intakes direct more air to the engine for increased power, centrally positioned fog lights and Xenon Adaptive Headlights with LED Daytime Running Lights distinguish the vehicle's front facia. A matte aluminum finish along with front and rear underside protective cladding, allow the X5 to navigate unpaved roads as easily as tarmac. The long wheelbase and short overhangs at the front and rear, muscular hood and square-shape flared wheel arches, contoured flanks and L-shape rear taillights featuring LED technology all add to the design. With the addition of sumptuous interior materials, the X5 truly becomes a sanctuary of unrivaled comfort and taste. Lower the split-folding rear seats to create up to 66cu. ft. of cargo space or, when equipped with third-row seats for two, the driver can share the journey with up to six passengers. Other features include available panoramic glass moonroof and rear seat DVD player with 8 inch screen. With a single twin-scroll turbocharger the xDrive35i will perform 300hp and 300 lb-ft of torque. Generating 413lb. ft. of torque with 255hp, an inline-six Advanced Diesel engine is available on the xDrive35d. A 4.8L V8 engine yields 445hp and 479 lb-ft of torque on the xDrive50i. The M Power V8 Turbo comes from the M performance division giving the X5 M an impressive 555hp. With BMW Assist, you have an emergency switchboard, navigation system, and information service, all in one on an integrated touchscreen. A premium Harman Kardon system puts the power of 11 speakers at your disposal. Using BMW Apps you can extend the communication and entertainment of your X5 with tailor-made applications. Source: The Manufacturer Summary* Long list of standard features; cutting-edge technology; seductive style. Source: Edmunds - **Vehicle Options listed are when the unit was originally built. Please confirm the accuracy of the included equipment by calling the dealer prior to purchase. - **Vehicle Options listed are when the unit was originally built. Please confirm the accuracy of the included equipment by calling the dealer prior to purchase. - **Vehicle Options listed are when the unit was originally built. Please confirm the accuracy of the included equipment by calling the dealer prior to purchase. - **Vehicle Options listed are when the unit was originally built. Please confirm the accuracy of the included equipment by calling the dealer prior to purchase. - **Vehicle Options listed are when the unit was originally built. Please confirm the accuracy of the included equipment by calling the dealer prior to purchase. - **Vehicle Options listed are when the unit was originally built. Please confirm the accuracy of the included equipment by calling the dealer prior to purchase. - **Vehicle Options listed are when the unit was originally built. Please confirm the accuracy of the included equipment by calling the dealer prior to purchase. - **Vehicle Options listed are when the unit was originally built. Please confirm the accuracy of the included equipment by calling the dealer prior to purchase. - **Vehicle Options listed are when the unit was originally built. Please confirm the accuracy of the included equipment by calling the dealer prior to purchase. - **Vehicle Options listed are when the unit was originally built. Please confirm the accuracy of the included equipment by calling the dealer prior to purchase. - **Vehicle Options listed are when the unit was originally built. Please confirm the accuracy of the included equipment by calling the dealer prior to purchase. - **Vehicle Options listed are when the unit was originally built. Please confirm the accuracy of the included equipment by calling the dealer prior to purchase. - **Vehicle Options listed are when the unit was originally built. Please confirm the accuracy of the included equipment by calling the dealer prior to purchase. - **Vehicle Options listed are when the unit was originally built. Please confirm the accuracy of the included equipment by calling the dealer prior to purchase. - **Vehicle Options listed are when the unit was originally built. Please confirm the accuracy of the included equipment by calling the dealer prior to purchase. - **Vehicle Options listed are when the unit was originally built. Please confirm the accuracy of the included equipment by calling the dealer prior to purchase. - **Vehicle Options listed are when the unit was originally built. Please confirm the accuracy of the included equipment by calling the dealer prior to purchase. - **Vehicle Options listed are when the unit was originally built. Please confirm the accuracy of the included equipment by calling the dealer prior to purchase. CARFAX One-Owner. Clean CARFAX. Certified. Jet Black 2016 BMW X5 sDrive35i RWD 8-Speed Automatic 3.0L I6 DOHC 24V TwinPower Turbo Canberra Beige/Black w/Dakota Leather Upholstery, 4-Zone Automatic Climate Control, Comfort Access Keyless Entry, Dakota Leather Upholstery, Navigation System, Premium Package, Rear-view Camera, Satellite Radio w/1 Year Subscription, Wheels: 19 V-Spoke Light Alloy (Style 450).BMW Certified Pre-Owned Details:* Roadside Assistance* Vehicle History* Multipoint Point Inspection* Transferable Warranty* 1 year/Unlimited miles beginning after new car warranty expires. * Warranty Deductible: $0Awards:* JD Power Initial Quality Study (IQS)Reviews:* Potent and efficient engines; luxurious and comfortable interior; huge list of features; steadfast high-speed stability. Source: Edmunds* Powerful and fuel-efficient engines; engaging handling; upscale interior; hatchback-style utility. Source: Edmunds* Long list of standard features; richly trimmed interior; seductive coupelike appearance. Source: Edmunds - **Vehicle Options listed are when the unit was originally built. Please confirm the accuracy of the included equipment by calling the dealer prior to purchase. - **Vehicle Options listed are when the unit was originally built. Please confirm the accuracy of the included equipment by calling the dealer prior to purchase. - **Vehicle Options listed are when the unit was originally built. Please confirm the accuracy of the included equipment by calling the dealer prior to purchase. - **Vehicle Options listed are when the unit was originally built. Please confirm the accuracy of the included equipment by calling the dealer prior to purchase. - **Vehicle Options listed are when the unit was originally built. Please confirm the accuracy of the included equipment by calling the dealer prior to purchase. - **Vehicle Options listed are when the unit was originally built. Please confirm the accuracy of the included equipment by calling the dealer prior to purchase. - **Vehicle Options listed are when the unit was originally built. Please confirm the accuracy of the included equipment by calling the dealer prior to purchase. - **Vehicle Options listed are when the unit was originally built. Please confirm the accuracy of the included equipment by calling the dealer prior to purchase. - **Vehicle Options listed are when the unit was originally built. Please confirm the accuracy of the included equipment by calling the dealer prior to purchase. - **Vehicle Options listed are when the unit was originally built. Please confirm the accuracy of the included equipment by calling the dealer prior to purchase. - **Vehicle Options listed are when the unit was originally built. Please confirm the accuracy of the included equipment by calling the dealer prior to purchase. - **Vehicle Options listed are when the unit was originally built. Please confirm the accuracy of the included equipment by calling the dealer prior to purchase. - **Vehicle Options listed are when the unit was originally built. Please confirm the accuracy of the included equipment by calling the dealer prior to purchase. - **Vehicle Options listed are when the unit was originally built. Please confirm the accuracy of the included equipment by calling the dealer prior to purchase. - **Vehicle Options listed are when the unit was originally built. Please confirm the accuracy of the included equipment by calling the dealer prior to purchase. - **Vehicle Options listed are when the unit was originally built. Please confirm the accuracy of the included equipment by calling the dealer prior to purchase. - **Vehicle Options listed are when the unit was originally built. Please confirm the accuracy of the included equipment by calling the dealer prior to purchase. - **Vehicle Options listed are when the unit was originally built. Please confirm the accuracy of the included equipment by calling the dealer prior to purchase. Clean CARFAX. Certified. White 2016 BMW X5 xDrive35i AWD 8-Speed Automatic 3.0L I6 DOHC 24V TwinPower TurboOdometer is 2404 miles below market average!BMW Details:* 1 year/Unlimited miles beginning after new car warranty expires. * Transferable Warranty* Multipoint Point Inspection* Vehicle History* Roadside Assistance* Warranty Deductible: $0Awards:* JD Power Initial Quality Study (IQS)Reviews:* Potent and efficient engines; luxurious and comfortable interior; huge list of features; steadfast high-speed stability. Source: Edmunds* Powerful and fuel-efficient engines; engaging handling; upscale interior; hatchback-style utility. Source: Edmunds* Long list of standard features; richly trimmed interior; seductive coupelike appearance. Source: Edmunds - **Vehicle Options listed are when the unit was originally built. Please confirm the accuracy of the included equipment by calling the dealer prior to purchase. - **Vehicle Options listed are when the unit was originally built. Please confirm the accuracy of the included equipment by calling the dealer prior to purchase. - **Vehicle Options listed are when the unit was originally built. Please confirm the accuracy of the included equipment by calling the dealer prior to purchase. - **Vehicle Options listed are when the unit was originally built. Please confirm the accuracy of the included equipment by calling the dealer prior to purchase. - **Vehicle Options listed are when the unit was originally built. Please confirm the accuracy of the included equipment by calling the dealer prior to purchase. - **Vehicle Options listed are when the unit was originally built. Please confirm the accuracy of the included equipment by calling the dealer prior to purchase. - **Vehicle Options listed are when the unit was originally built. Please confirm the accuracy of the included equipment by calling the dealer prior to purchase. - **Vehicle Options listed are when the unit was originally built. Please confirm the accuracy of the included equipment by calling the dealer prior to purchase. - **Vehicle Options listed are when the unit was originally built. Please confirm the accuracy of the included equipment by calling the dealer prior to purchase. - **Vehicle Options listed are when the unit was originally built. Please confirm the accuracy of the included equipment by calling the dealer prior to purchase. - **Vehicle Options listed are when the unit was originally built. Please confirm the accuracy of the included equipment by calling the dealer prior to purchase. - **Vehicle Options listed are when the unit was originally built. Please confirm the accuracy of the included equipment by calling the dealer prior to purchase. - **Vehicle Options listed are when the unit was originally built. Please confirm the accuracy of the included equipment by calling the dealer prior to purchase. - **Vehicle Options listed are when the unit was originally built. Please confirm the accuracy of the included equipment by calling the dealer prior to purchase. - **Vehicle Options listed are when the unit was originally built. Please confirm the accuracy of the included equipment by calling the dealer prior to purchase. - **Vehicle Options listed are when the unit was originally built. Please confirm the accuracy of the included equipment by calling the dealer prior to purchase. - **Vehicle Options listed are when the unit was originally built. Please confirm the accuracy of the included equipment by calling the dealer prior to purchase. - **Vehicle Options listed are when the unit was originally built. Please confirm the accuracy of the included equipment by calling the dealer prior to purchase. Get behind the wheel of the Ultimate Driving Machine® for less with a BMW Certified vehicle from Moss BMW! With a BMW Certified vehicle, you don’t have to compromise on performance for price, which makes it an excellent option for those who want the performance of a new BMW without the new price tag. Why BMW Certified? Every single model we offer must pass a rigorous process to become Certified, so you can rest easy knowing you’re getting the real deal when you buy CPO from Moss BMW. Start browsing our online inventory or click here to learn more about BMW’s CPO Program! What does a pre-owned BMW have to do in order to achieve Certified status? Quite a lot. Every pre-owned BMW that comes to our dealership is tested against our comprehensive BMW Certified vehicle inspection checklist by a BMW-trained technician, so nothing falls through the cracks. Throughout this rigorous process, everything from mileage to engine performance to the operation of the glove box is meticulously scrutinized. Our vehicles go through an extensive road test and each aspect of our pre-owned BMW’s performance is reported on. Only when it passes every inspection point with satisfaction can it earn the title of Certified. 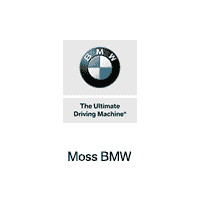 And at Moss BMW, every Certified BMW also comes with a vehicle history report available for viewing on our website. Every BMW Certified vehicle is rigorously inspected and backed by an Unlimited Mileage Protection Plan for one-year and is one of the smartest buys on the road today. BMW has always had one of the most comprehensive new vehicle warranties in its class. And Certified Pre-Owned vehicles are no different. Every Certified BMW covers you for one year with unlimited vehicle miles, after the expiration of the four-year/50,000 mile. Your BMW Certified vehicle’s warranty covers you for one year with unlimited vehicle miles, after the expiration of the four-year/50,000-mile New Vehicle Limited Warranty for Passenger Cars and Light Trucks (valid only in the U.S.A. including Puerto Rico) for a total of five years/unlimited vehicle miles. Five years of BMW Roadside Assistance is included. Additional plans are available to extend your vehicle’s coverage up to a total of six years with unlimited miles. The Certified Pre-Owned Protection Plan provides specific coverage against defects in material and workmanship; the plan is not a Maintenance Program or an extension of the original four-year/50,000-mile New Vehicle Limited Warranty for Passenger Cars and Light Trucks (valid in U.S.A. including Puerto Rico). There are various items that are not covered by these warranties.